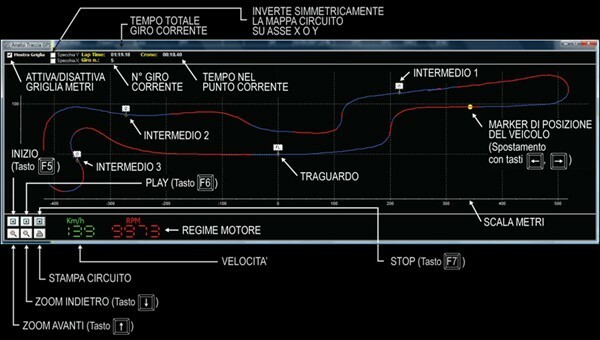 CORSARO revolutionizes the concept of laptimer and data acquisition system and defines a new technological step in the world market. With the S.E.P.L.A. 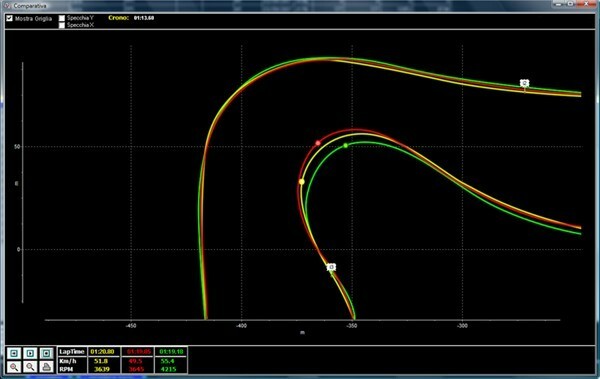 (Starlane Enhanced Precision Laptiming Algorithm) feature: a laptiming algorithm allowing very hi laptiming precision. Sensors are optional and available on Starlane catalog, some inputs as for eg. RPM, TPS and WHEEL SPEED, can be accessed directly from the original sensors available by factory on the most common motorbike models. 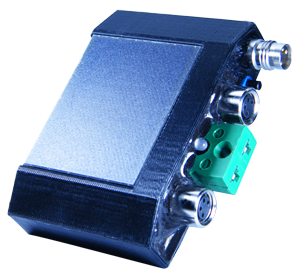 RID-LAMBDA (code RID2RLT) comes with BOSCH LSU4 Wide Band Lambda sensor and, by means of the supplied transmitter, transmits to CORSARO Air/Fuel ratio, Engine RPM and Throttle Position values to achieve the best mapping for your engine management system. 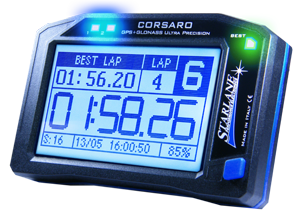 IF YOU DON'T WANT TO USE YOUR COMPUTER OR PRESS BUTTONS ON THE TRACK, THE SAFD-2 FEATURE (Starlane Automatic Finish line Detection), WILL SPLIT AUTOMATICALLY THE TRACK AFTER THE FIRST 2 LAPS RUN, ALLOWING YOU TO SEE YOUR LAPTIMES AND INTERMEDIATES FROM THE VERY FIRST SESSION WITHOUT ANY ACTION ON THE LAPTIMER. the CORSARO shock-proof Nylon-glass charged body accommodates the new double constellation receiver which use in symbiosis the american GPS and the russian GLONASS satellite systems. This solution increases dramatically the precision due to the vero high number of satellite involved in instantaneous position, speed, trajectory and laptime determination. by means of the track librari, available in the Device or in DigiRaceMNX software, you can set up the coordinates of 4 lap trigger lines (main finish line + 3 optional intermediates). 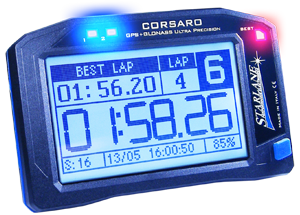 Whenever you cross a finish line or an intermediate, CORSARO will indicate the relative split time and store its value. 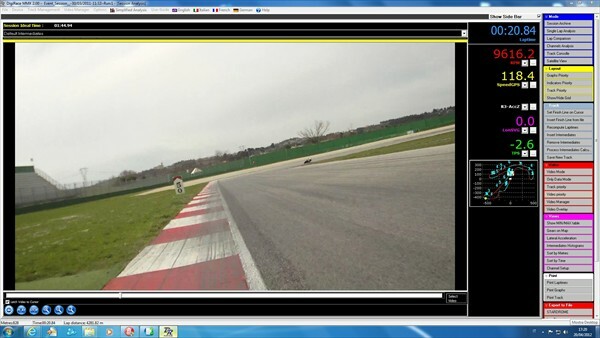 You can therefore quickly evaluate your own performance even if you are driving along a part of the track far from the main straight stretch, which would be expensive and unpractical if you used any other type of laptimer. ATHON XS can also indicate the engaged gear by calculating the ratio between the engine revolutions and the wheel speed. It can also indicate the water temperature by means of an optional temperature sensor. 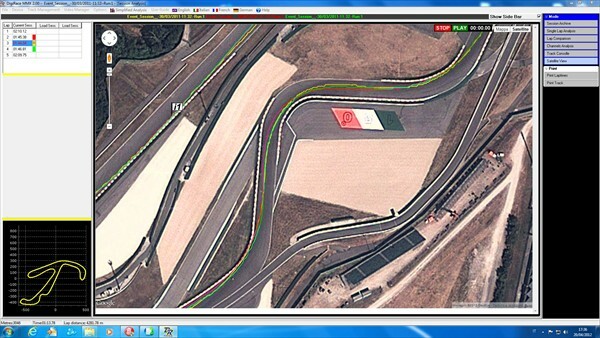 12) SUPPLIED WITH THE DIGIRACEMMX SOFTWARE: the DigiRace-MMX software supplied with CORSARO can file, analyse and print the data acquired and graphically represent the paths you have driven across with the relative acceleration and deceleration points for a lap-by-lap comparison. 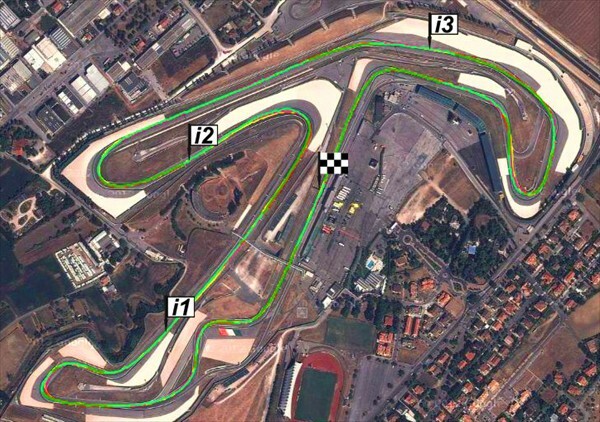 13) 999-LAP MEMORY WITH AUTOMATIC MANAGEMENT OF 99 TEST SESSIONS: CORSARO will automatically create a new session whenever you access the track. This means that you can analyse the times you have stored during the various sessions even at the end of the day without having to delete memory whenever you access the track. You can store the Date and Time of every single session as well as the total time, the intermediates, the maximum speed and the max. engine revolutions for every single lap. 14) CYCLICAL MEMORY MANAGEMENT: With CORSARO you will never face memory full issues because,in order to allow a continuous usage, it manages the available space by erasing automatically the oldest sessions when the memory is almost full. 15) STORAGE OF THE FINISH LINE COORDINATES OF THE TRACKS MOST USED: you can store the coordinates acquired for the finish line of the tracks you are training on most frequently. 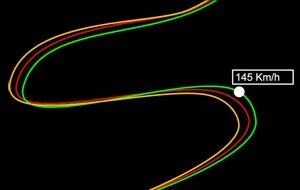 You can file up to 16 tracks and easily call the finish line of the current track without having to reset it every time. 16) MONOCHROMATIC BACKLIT LARGE-SIZE DISPLAY WITH TOUCH SCREEN: CORSARO comes with a display using translfletive technology, allowing full readability even under direct sunlight when backlight is off. 17) BUILT IN BATTERY AND EXTERNAL SUPPLY: equipped with internal high capacity Lithium battery can also be supplied by 12V vehicle battery. Moreover, CORSARO is complete with powerful energy saving and self power-off functions the user can set up to make the best use of battery performance. 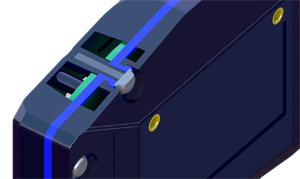 It is supplied with a specific extension with rings for battery connection and with a connector on one side of the instrument for rapid disconnection. 18) WATER-RESISTANT: CORSARO is water resistant and it can also be used in case of rain.